DataRecovereyNAS.com provides worldwide data recovery for Sans Digital AccuNAS Network attached storage (NAS) devices, mass external data storage devices and We also provide data recovery for Raid configured Sans Digital Digital NAS devices and Raid configured mass storage devices and External Hard Drives. Sans Digital Network data storage devices and external hard drives were designed to backup the data from your computer. They were designed to be used to create a copy of your data. With the large volume of music and photo files generated today, many people find themselves using these devices as a primary data storage device. When their Sans Digital AccuRaid NAS device or external Hard drive crashes, they now find themselves without a copy of there data and in need of our NAS Data Recovery services. It is strongly recommended when using your external storage devices as a primary storage device that you include another external hard drive as a data backup device. Sans Digital AccuStor Network Attached Storage (NAS) devices and Mass Data storage devices are relatively new to the small business owner and home user. The devices are similar to a data storage server without a large computer operating system and other peripherals. They generally come with a raid controller or software raid controller that allows you to configure the hard drives in various arrays. The NAS device is then connected directly to your network using an IP number or thru a computer using USB, Sata or e Sata connection. When their Sans Digital NAS Raid hard drive array fails the data recovery is more complex and more expensive. Again these devices are intended for data back up. Unless set up correctly in a Raid 1 configuration they should not be used as primary storage devices, unless they are also backed up. For more information call one of our techs when attempting to configure a Raid system. In Addition to NAS data recovery and NAS Data Storage we also provide SAN data recovery. SAN. Storage Area Network, are high speed Enterprise data storage devices generally connected to a network via Fiber Optics. The San devices are generally used for storage of large amounts of data and high speed data transfer. SAN Devices are usually configured in 1 or more Raid Arrays using enterprise SATA, SAS or SCSI Drives. We provide raid data recovery for all SAN Raid 1, SAN Raid 0, SAN Raid 5, SAN Raid 6, Hybrid SAN arrays and any other SAN Raid array configuration. We provide San Data Recovery for all makes and models of SATA Drives, SAS Drives and SCSI Drives. We provide SAN Data Recovery for Qnap, Sans Digital, Drobo SAN, Open E, ISCSI SAN, DS Dapron, Raid, Inc, Spectron and all other makes of SAN Servers. We provide San Data Recovery for all makes and models of SATA Drives, SAS Drives and SCSI Drives. We provide SAN Data Recovery for Qnap, Sans Digital, Drobo SAN, Open E, ISCSI SAN, DS Dapron, Raid, Inc, Spectron and all other makes of SAN Servers. We provide San Data Recovery for all makes and models of SATA Drives, SAS Drives and SCSI Drives. We maintain a Class 100 Clean Room data recovery environment for platter exchange required for failed or seized drive motors. Head exchange data recovery for failed hard drive reading heads is also preformed in a Class 100 clean room data recovery environment. Head Platter stuckation data recovery is also preformed in a Class 100 clean room station. We provide USB Flash Data Recovery, NAND chip data recovery, SSD Data Recovery, Flash Media Data Recovery, Thumb drive data recovery and SSD NAND Chip Data recovery. We provide circuit board data recovery , controller chip data recovery and NAND chip data recovery for failed flash drives. Data Recovery from failed circuit board or controller chips of flash drives, SSD drives and flash media is highly probable. Data recovery of a failed NAND chip is not possible. Once a NAND CHIP has failed the data is lost forever. We provide Data Recovery from RAM (random access memory) chips in special cases. RAM Chip data recovery is possible as long as the power to the RAM chip has not been discontinued and the data has not been overwritten. Once the power to the chip is stopped the data is dumped and Ram Chip data recovery is not possible. We provide data recovery for hard drives with failed PCB Circuit boards. The Rom chip contains data specific to that hard drive and is needed to access the drive. We use the most professional data recovery hardware and software specific to the hard drive manufacturer to ensure the most successful data recovery of the Rom Chip. We provide Swann jailbreak iPhone data recovery, android mobile phone data recovery, smart phone data recovery and cell phone data recovery. In addition to Downtown Swann jailbreak iphone data recovery we provide data recovery for iPods, PDAs, Kindles and all other Mobile media device. Severe Weather Data Recovery: Severe weather occurrences can cause operating system corruption or partition failure for any hard drive or raid array. This generally occurs with the sudden loss of power which causes the computer, external hard drive, server, NAS or SAN servers to crash. This may render your data inaccessible. Ice storms, snow storms, lightning storms, high winds, earthquakes and heavy rains all can cause sudden power loss of power fluctuations which may lead to inaccessible data. Our data recovery engineers have a combined 57 years experience in recovering lost data occurring from severe weather events for our clients. We provide tropical data recovery for all electronic media storage devices that have been damage due to severe weather, fire, flood, tornado, hurricane and electrical power surges. The most common cause of data recovery loss during a tropical storm or severe weather event is power surges. If your drive fails to start after a power surge, do not continue to try to start the drive. Continued attempt to power up a damaged drive can led to more if not full data loss. The second most common drive problem to occur during a severe weather event is water damage, whether full submersion or moisture contamination. In either case the hard drive should not be powered on. Our tropical data recovery techniques are able to handle most any digital storage device which may have been compromised from water or moisture We provide tropical data recovery for all electronic media storage devices that have been damage due to server weather, fire, flood, tornado, hurricane and electrical power surges. The most common cause of data recovery loss during a tropical storm or severe weather event is power surges. If your drive fails to start after a power surge, do not continue to try to start the drive. Continued attempt to power up a damaged drive can led to more if not full data loss. The second most common drive problem to occur during a severe weather event is water damage, whether full submersion or moisture contamination. In either case the hard drive should not be powered on. Our tropical data recovery techniques are able to handle most any digital storage device which may have been compromised from water or moisture. Visionman Vision Vault, D-Link , Dell NAS devices, Buffalo Network Attached Storage, Iomega, Synology, LaCie, Thecus, Western Digital Share Space, Netgear, Hp Media Smart Media, Data Robotics, GMG, Vantec Network Attached Storage (NAS) device, Coolmax, Trendnet, Linksys, Sans Digital Digital, Systemax NAS, SonicWall, Kanguru, US Robotics NAS, Dell Powervault, Dell PowerEdge, Overland Storage Snap Server, Seagate BlackArmor, Seagate NetStak 100, Seagate GoFlex Net Media, Seagate Home network storage system, FreeAgent DockStar. NAS Data RECONSTRUCTION Recovery from hard drives configured in Raid 0, Raid 1, Raid 1 – 0, Raid 10, Raid 3, Raid 4, Raid 5, Raid 6, ZFS Raid, Raid 5e, Raid 5ee, raid 15, Raid 6E, Raid 1.5, Raid 7, Raid-DP, Raid S, Matrix Raid, Raid-K, Raid-Z, Raidn, Linux MD 10, IBM ServeRaid 1E, unRaid, Drobo BeyondRaid, Nested Array, Hybrid Array, NAS Data RECONSTRUCTION Recovery from hard drives configured in Standard Raid Levels Raid 0, Raid 1, Raid 2, Raid 3, Raid 4, Raid 5, Raid 6. Modified Standard Raid Levels - Nested Raid Levels Raid 0 + 1 (raid 01), Raid 1 + 0 (raid 10), Raid 3 + 0 (raid 30 or raid 53), Raid 0 +3 (raid 03), Raid 1 +0 + 0 (raid100), Raid 5+ 0 (raid 50), Raid 5 + 1 (raid 51), Raid 0 + 5 (raid 05), raid 6 + 0 (raid 60). Non Standard Raid Levels. Double Parity, Raid 5e, Raid 5ee, Raid 6e, Raid-DP, Raid1.5, Parity Raid, Matrix Raid, Raid K, Raid S, Raid Z, Beyond Raid, unRaid, Linux MD 10, IBM ServeRaid 1E, ineo Complex Raid, Raidn, Non Raid Drive Architectures: SLED, JBOD, MAID, SPAN, BIG. Enterprise Raid Server: Sas Hard drives ( Serial Attached SCSI) are enterprise hard drives generally used in Servers, SAN Servers and NAS Devices in conjunction with raid controllers. A select few motherboards now have allow SAS drives to connect directly to the motherboard. The drives spin at 10,000 and 15,000 rpms allowing for faster read and write cycles. As with their SCSI predecessors, successful data recovery of SAS drives require advanced data recovery hardware and software. 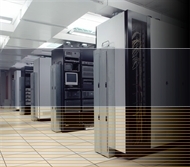 We use the latest advance hardware and software for all of are data recovery cases. We Provide advanced SAS data recovery for all makes and models of enterprise SAS and NL-SAS drives including: Seagate Hard Drives, Samsung SAS Hard Drives, Hitachi SAS hard drives, Toshiba SAS hard drives, IBM hard drives, Fujitsu hard drives, Sun SAS, IBM SAS, Seagate SAS, Hitachi SAS, Fujitsu SAS, HP SAS, HDS, Dell SAS, Lenovo SAS, LSI SAS, NetApp SAS. SAS hard drives ( Serial Attached SCSI ) replace the older SCSI drives. The advantages of the newer SAS drive over the SCSI drives are faster transfer rates and the ability to connect with more drives. SCSI drives have a limitation of communicating with more than 16 SCSI drives where the new SAS drives can communicate with more than 65,000 other SAS Drives. SAS drives are generaly used in Enterprise servers, SAN Servers and enterprise workstations. . We Provide advanced SCSI data recovery for all makes and models of enterprise SCSI drives including: Seagate SCSI Hard Drives, Samsung SCSI Hard Drives, Hitachi SCSI hard drives, Toshiba SCSI hard drives, IBM hard drives, Fujitsu SCSI hard drives, Sun SCSI, IBM SCSI, Seagate SCSI, Hitachi SCSI, Fujitsu SCSI, HP SAS, Dell SCSI. We Provide advanced SATA / IDE data recovery for all makes and models of SATA / IDE drives including: Seagate / Maxtor SATA / IDE Hard Drives, Samsung SATA / IDE Hard Drives, Hitachi SATA / IDE hard drives, Toshiba SATA / IDE hard drives, IBM SATA / IDE hard drives, Fujitsu SATA / IDE hard drives, Western Digital SATA / IDE, Samsung SATA / IDE In addition to major city data recovery and metro data recovery we also provide small town data recovery such as Ascention data recovery, Lake Mary Data recovery,Annetia Data Recovery, Swann data recovery to all small towns and cities in the US, Canada, Caribbean and South America.